Staff Sgt. 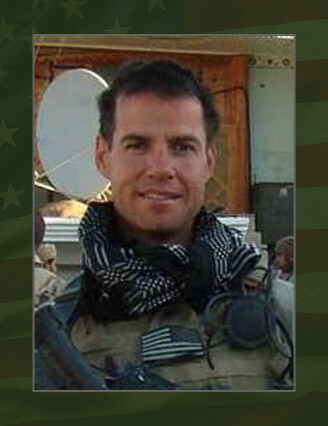 William R. Neil, Jr., 38, was killed in action when the vehicle he was riding in struck an improvised explosive device on March 22 near Sperwan Ghar, Afghanistan, while serving with Company C, 3rd Battalion, 3rd Special Forces Group (Airborne). He deployed in support of Operation Enduring Freedom in 2007 as a member of the Combined Joint Special Operation Task Force Afghanistan. Neil’s military education include; the Total Army Instructor Training Course, Warrior Leaders Course, Special Forces Qualification Course, Ranger Course, and the Basic Airborne Course. His awards and decorations include the Army Commendation Medal, six Army Achievement Medals, Army Good Conduct Medal, Afghanistan Campaign Medal, National Defense Service Medal, Global War on Terrorism Service Medal, Noncommissioned Officer Professional Development Ribbon, Army Service Ribbon, Overseas Service Ribbon, NATO Medal, Weapons Qualification Badge, Special Forces Tab, Ranger Tab, and the Parachutist Badge. He was posthumously awarded the Purple Heart, Meritorious Service Medal, Bronze Star, and Combat Infantry Badge. Neil is survived by his parents William Sr., and Patricia, of Holmdel, N.J.; and sisters, Patricia, Barbara, and Veronica.